KPMG’s regional chairman Steve Hollis talks to Ian Halstead about his career, his philosophy... and bling. You can learn a good deal by asking someone who they most admire. Most will merely dissemble. Others lazily pluck a name from our nation’s glorious sporting pantheon. Fictional folk are sometime favoured; perhaps Phileas Fogg or Sherlock Holmes. It takes an unusual soul though, to select someone from the worlds of medicine and academia. The person atop Steve Hollis’s list is Charlie Craddock; director of the blood and marrow transplant unit at the Queen Elizabeth Hospital, and professor of haemato-oncology at the University of Birmingham, and to Mr Hollis, he is a real hero. “He saved my friend’s life, who had leukaemia. The diagnosis was ten years ago, when we were all spending too much time working and making money, and it really made me stop and think,” he recalled. It’s a revealing comment, especially in a profession not noted for public self-effacement. However, as Mr Hollis natters happily away, it’s evident that he’s always had heroes, and is more than happy to admit their presence. “When I started out, I was very raw, with little understanding of what the job involved, but I was lucky enough to join Peat Marwick Mitchell when John Adcock and Roger Dickens were here. Mr Hollis’s debut in the global accountancy community was far removed from today’s stress-laden route though; no Red Bull-fuelled nights cramming for a degree, or fraught months competing desperately to catch an employer’s eye on the milk-round. “To be honest, I wandered in with an FT under my arm, and was only asked one question–- why I wanted to join Peat Marwick. I spent the next hour hearing how great it would be working there. “They liked people who could get on with other people. Years later, when I saw Tom Cruise in The Firm his character’s interview reminded me very much of mine – although, of course, the rest of the plot was rather different. Mr Hollis has much enjoyed his career, and a CV awash with high-profile roles for KPMG in the Middle East, the Far East, the USA and Europe demonstrates that it’s been professionally challenging – and equally rewarding. However, his career was almost stillborn, because his first love was for the figures you find on dials inside the cockpit of long-haul jets. “I’d always dreamed of being a pilot. It felt so glamorous, and BOAC offered me a place at their training college. Sadly, recession hit, and they abandoned the recruitment programme,” recalls Mr Hollis, as he gazes into the sun-lit heavens above his Snow Hill office. Instead of enjoying the freedom of the skies, he became ‘White Van Man’ meandering along Shropshire’s open roads, to install milking machines for RJ Fullwood & Bland. “They were a long-established business, who invented the first carousel milking parlour. It was an innovative design, and they were very successful,” said Mr Hollis. It was certainly an industry about which his father knew much, given his New Zealand origins, and his role as Fullwood’s technical director, but he soon identified a different future for his son, with a pithy aside that still chimes true, decades later. “You should become an accountant. They control everything,” he said – and Damascus hove into view on Mr Hollis’s horizon. He’s never had regrets – even if his first experience of number-crunching was challenging, in a bucolic kind-of way, as he qualified with a small local firm of accountants. Work with Peat Marwick’s clients was rather different to tending for rural concerns though, and the novice quickly discovered that he wasn’t suited to an audit role. At the end of the 90s, he was appointed senior partner of the Birmingham office, and in 2000, his overseas travels began, but in 2011 Mr Hollis was asked to return. “I didn’t think twice, because this place was having a tough time. It’s intriguing, given his 30 years inside the organisation, to hear his assessment of where KPMG went wrong, and Mr Hollis is candid. “The bull market which lasted until the autumn of 2008 was bad for us, because we didn’t develop the kind of leaders who could work in very challenging conditions, and we were exposed quite significantly because of that failing. So what are his leadership qualities, and how has he sought to impose his corporate philosophy? “I like to see myself – even though it is a little awkward to say – as a steel fist, under a very generous velvet glove,” said Mr Hollis. There doesn’t seem to be a Chairman Mao straining to escape from Mr Hollis’s suit, but what would happen if colleagues failed to heed his gentle strictures? “I admit, I wasn’t as tough as I should have been earlier in my management career, because I just didn’t realise the collateral damage which the wrong person can do to the organisation,” he conceded. “Now though, if they flaunt their trappings too much, regardless of how talented they may be, then they have to move on, because the whole is so much more important than the individual. “Too many people think fulfillment is having matching Ferraris, so they can drive separately to the same restaurant, simply to display their wealth. There needs to be more humility, and people need to realise that they aren’t achieving anything by acting in that manner. 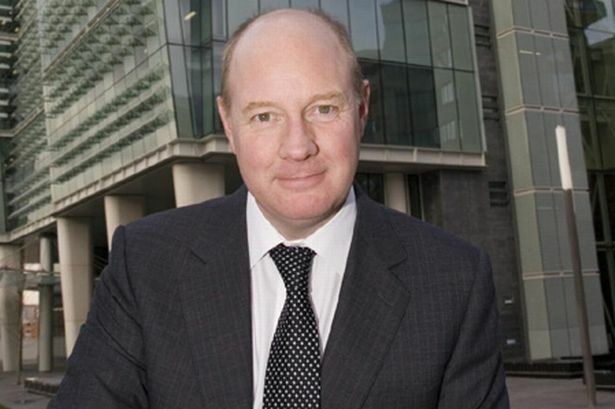 However, KPMG wasn’t the only body to drift from its course during the bull market, for Mr Hollis also identifies a wider malaise in Birmingham. “We went through the longest sustained period of economic expansion, ever, but this region saw a net decrease in private sector employment, which doesn’t seem possible, and we are still under-perfoming,” he said. “We need unified political leadership, and more leadership coming from the business sectors, to bring their expertise to the aid of the public sector. It can be done, you only have to look at what Jaguar Land Rover has achieved, but we need many more similar success stories. “To me, we must shine a light on our assets, and to go out and be bolder. Professor Parkinson said at the start of the Big City Plan that Brummies needed to swagger like Scousers, and he was spot-on. Refreshingly, Mr Hollis is equally willing to analyse his own actions in the boom years – and at the most intimate level. “When Jane (his wife) was bringing up our two children, I did miss a lot of time with them. I’m not proud of that, but somehow you just get carried away with yourself. Unusually, for someone so steeped in business, Mr Hollis’s role model for leadership is Sir Alex Ferguson, and that’s really not easy to admit for a Manchester City fan. “He’s always impressed me, because he really cares about his people. He empowers others to achieve great things, but he’s always in charge, and the success he’s achieved has been remarkable,” he confessed. Despite his allegiance to City, Mr Hollis isn’t one of their plastic fans; who can now be seen peacock-proud and pristine – but clueless about their destination – on West Coast trains when Saturday comes. “As a kid, when I was living in Ellesmere and got interested in football, the team I followed was the City side of Summerbee, Bell, and Doyle, and I’ve supported them ever since,” he says – and he has the matchday programmes to prove it.